The Scarlet Clue is a 1945 American film directed by Phil Rosen. 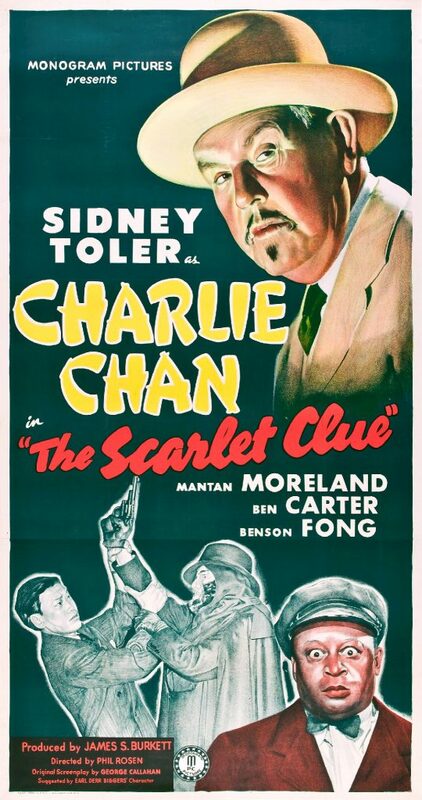 The film is also known as Charlie Chan in the Scarlet Clue (American informal title) and Charlie Chan: The Scarlet Clue in Australia. The film is in the public domain due to the omission of a valid copyright notice on original prints. Charlie Chan and his son Tommy and their block-head driver Birmingham Brown investigate the shenanigans and suspects that results from a furtive gang trying to steal radar secrets from a radio station.